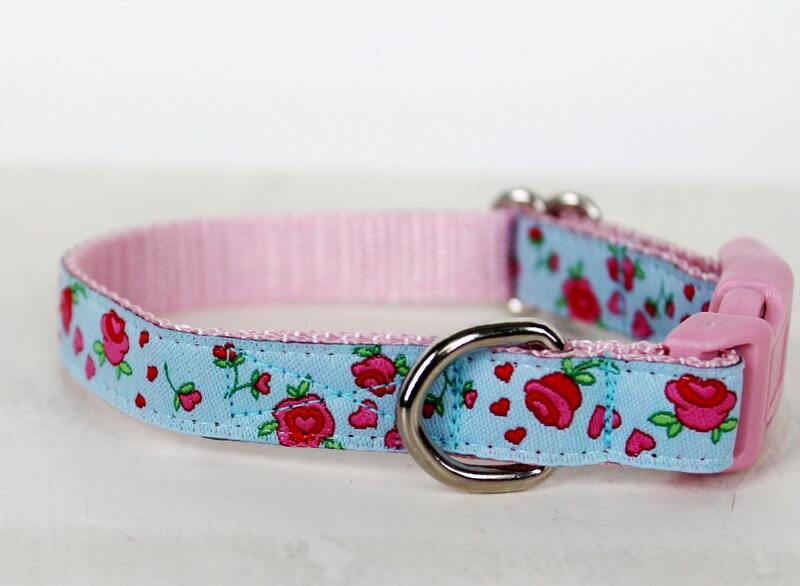 Blue Rosebud Dog Collar. 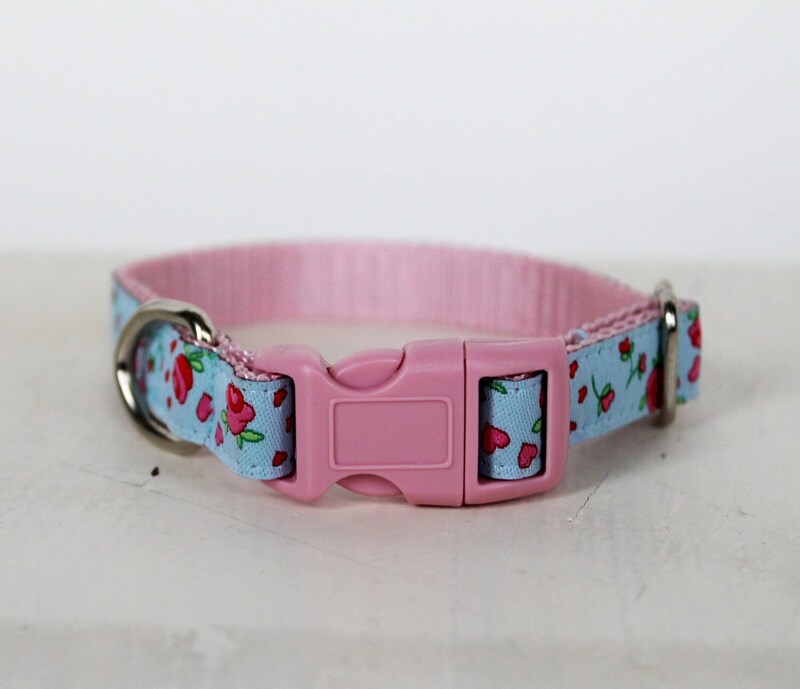 This 1/2 inch width collar is for teacup size dogs or cats. It is placed on lightweight 1/2 inch width, pink nylon webbing. This ribbon is from Europe. 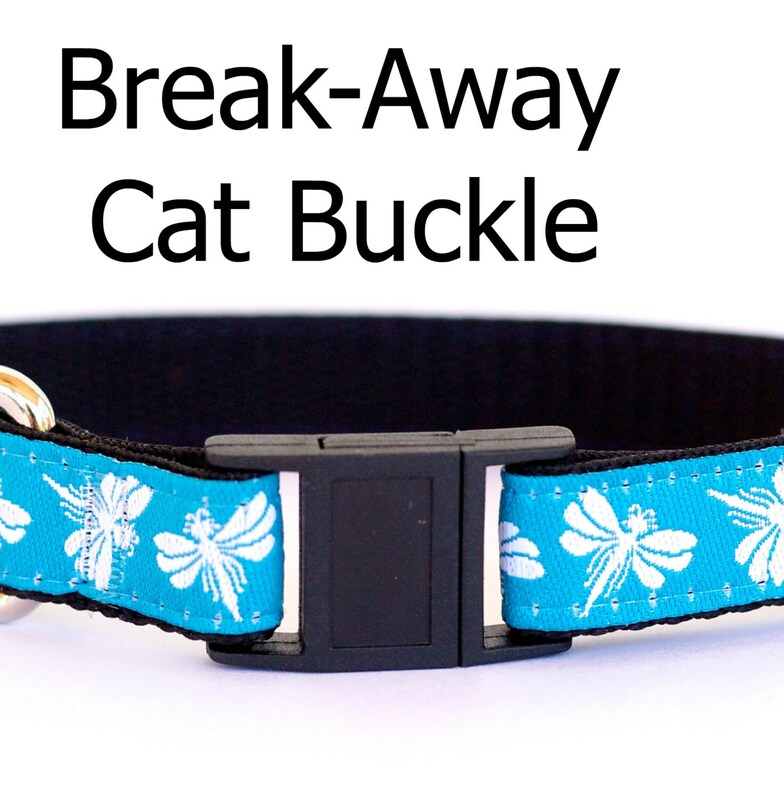 *If purchasing for a cat, choose the breakaway black buckle to keep your kitty safe. *Buckle Info: Black Buckles have a black triglide. 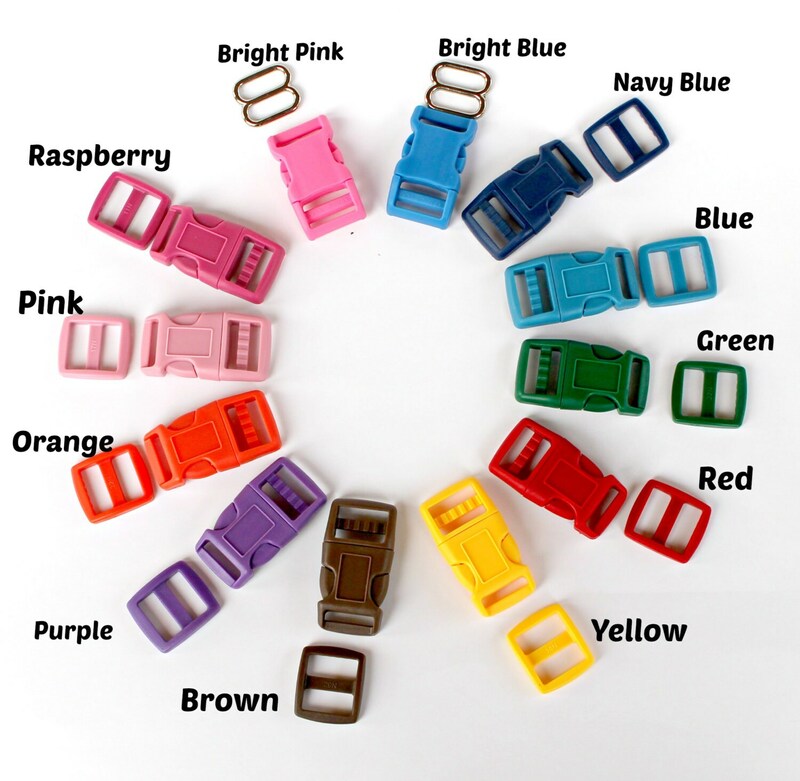 Colored buckles have a metal triglide. *Please notes sizes are for teacup or cat sizes. Measure carefully and allow a finger of room in between neck and collar. I use bar tack stitching and 1/2 inch welded D rings. Break-Away buckles break at 9 lbs. of pressure and keeps your cat or puppy safe. Any questions please feel free to convo me. 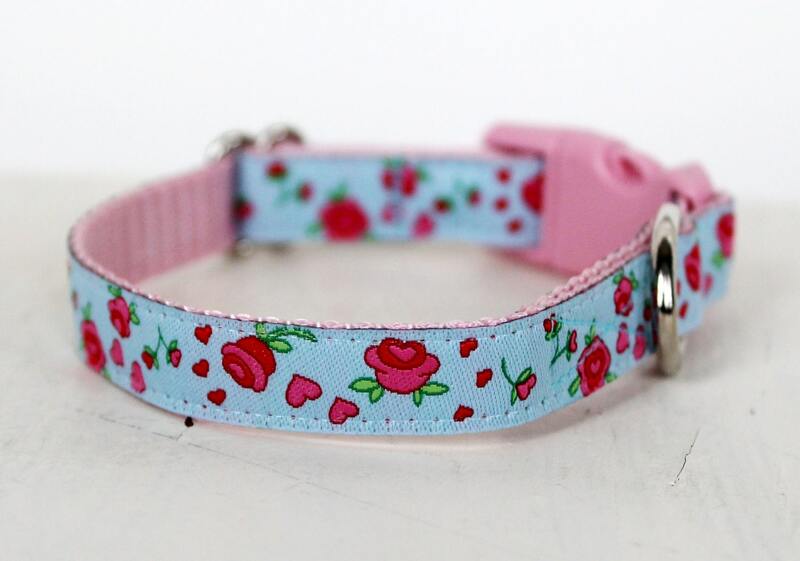 Adorable collar. Good quality. Very happy with this collar!